Around Easter I have managed to have some rest and even more importantly, away from my other hobbies. 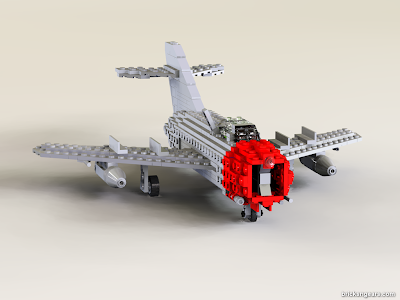 As this year's Lego Military Build Competition is currently running I thought I could give it a try. Brainstorming has started with the cigar-shaped body. It has a circular cross section with the diameter continuously changing from the front towards the aft. To make it more complicated, the shell gets thin towards the front an the end. 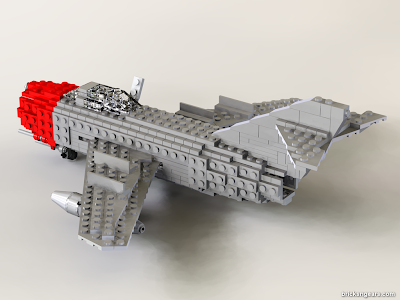 The original inspiration was given by the sphere from legohaulic: it seemed that it may be possible to build the cigar from plates, with studs pointing outside. This is the end result. I tried to build it in the smallest size possible, this corresponds to 1:35 scale approximately. The small size meant some compromises. For example the landing gear is not retractable into the body and the wings. The model was built with Lego Digital Designerrel in Universe mode). The images were rendered with MegaPOV using Koyan's tutorial. But I already have the bricks underway, I am quite curious if I manage to build it like it is shown on these images. Until this happens there are more images in the album. Because of the competition I have uploaded the images to Flickr as well. 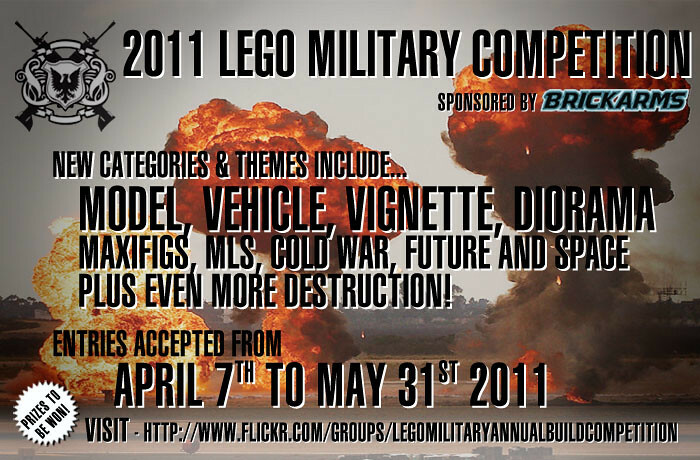 The competition deadline is May 31st 2011, I am sure we will see lots of great entries. Shall we see it built with reals bricks ? I have already built it, but did not take any photos yet... It's coming!